Just one month after the transition of Shirley Chisholm, P.O.V. will present an extraordinary documentary that focuses mostly on her being a catalyst for change and her historic campaign for U.S. President in 1972. As pointed out in the upcoming film, Chisholm ‘72, Unbought & Unbossed, she ran for the President when women in the United States could not hold a department store credit card in their own names and insurance rates for unmarried women drivers were higher than their brothers because insurance companies assumed that the women’s boyfriends would drive their cars and be at higher risk of having an accident. Shirley Anita St. Hill Chisholm (D-NY) was born in the United States, but spent many of her formative years with her maternal grandmother in Barbados. Her father was a follower of Pan-Africanist Marcus Garvey. In 1968, she became the first Black women elected to the U.S. Congress. In 1972, she became the first Black women to run for U.S. president. As Carol Moseley-Braun (D-IL), who in 1992 became the nation’s first Black female Senator would experience, Chisholm experienced difficulty in gaining the support of Blacks, particularly Black men, while running for president. In the film, she called former D.C. Delegate to Congress Walter Fauntroy a b@@@@@@, for not supporting her and offered words of peace to former Congressperson Ron Dellums (D-CA) for uniting with her to nearly the end. In the year she ran for President, George McGovern won the Democratic nomination. When Mosely-Braun ran, John Kerry won the nomination. 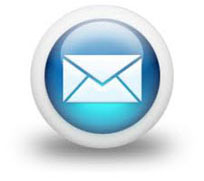 Many Blacks reasoned that they could not support the women because they could not win. In 1972 the country discussed the morality of the Vietnam War, which the United States eventually lost. In 2004, the country discussed the morality of invading Iraq. However, in each election, the White male Democrat lost the general election with strong Black support. In the film and during our meetings in her congressional office (I was interning with Adam Benjamin (D-Gary, IN)) and at Iowa State University (where I was a student), I recalled her making it clear that she felt that she faced more obstacles being a woman than being a Black. “They just couldn’t support me because more than anything else, I was a woman running for the presidency. That got them,” she said in the film on why the delegates at the historic National Black Political Convention in Gary, IN did not endorse her candidacy. Generally, the film left me with a feeling that so many ideas that people hold in their heads have not changed. However, during the interviews on the film, I learned that some of Chisholm’s defiance with the status quo is still alive. Barbara Lee (D-CA), who was the only Congressperson to vote “no” to war after the September 11 attacks, was a Chisholm campaigner in 1972. 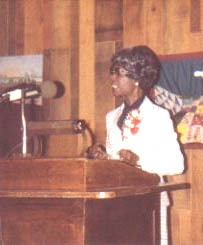 Photo: Rep. Chisholm in 1980 at the Great Hall of the Memorial Union, Iowa State University - Ames, IA. Ms. Chisholm in 2003. Editor’s Note: Check your local listings for the time of the broadcast Monday, February 7 on your local PBS station. This magazine is inclusive, diverse, and Pan-African partially because of the examples set by Rep. Chisholm. May she rest in peace, forever.